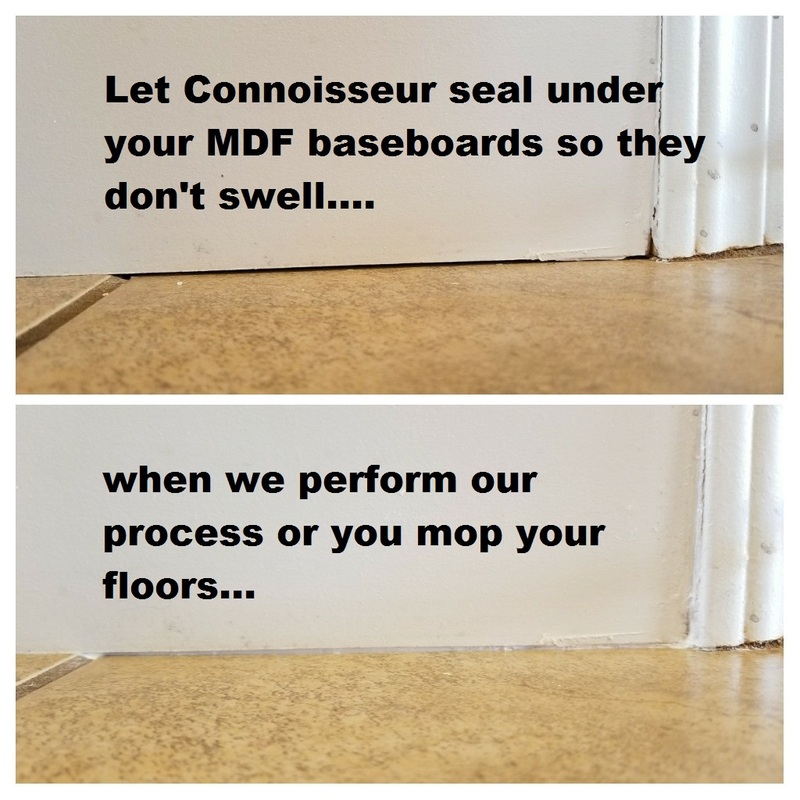 Avoiding baseboard damage during your or our cleaning… – The Connoisseur Carpet Cleaning blog. One of the first things we look at when inspecting a tile cleaning project are the baseboards and their condition. Most all homes these days are being built with low cost “MDF” baseboards, Medium Density Fiberboard is popular due to low cost and ease of use but is plagued with a curse.. 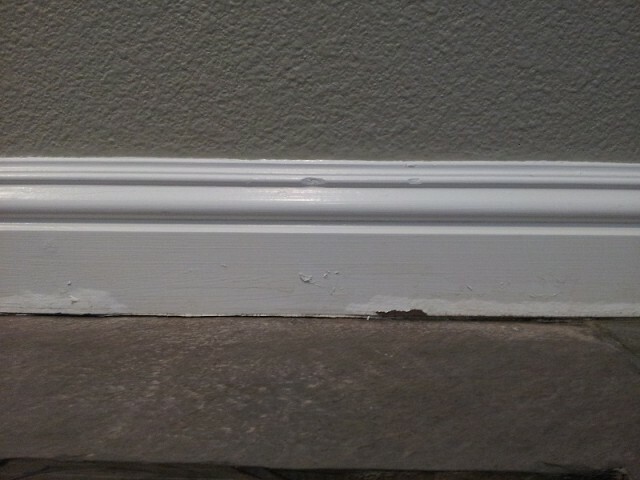 The bottom edge is rarely if ever painted or sealed to the floor. Once water gets underneath the material acts like a sponge and swells up. Unfortunately the swelling does not go down so either careful bondo type work or replacement is the only fix. While we do all we can to prevent our tile or stone cleaning solution from getting under the baseboards, if your home or flooring is un-level, it’s almost unavoidable. We see lots of homes where the MDF is already swollen do to home owners who use too much water when mopping of if they had a minor flood. Unfortunately masking tape is not a reliable option as the cleaning solution will loosen the adhesive and work it’s way under the tape and their is a high risk of the tape removing some our the paint off the baseboard. To identify if your baseboards or MDF or solid wood, you’ll need to see an un-painted portion. MDF will have an obvious particle board like texture. « The Connoisseur Team Helps the Las Vegas Ronald McDonald House Shine	» Fun cleaning project in Bridgeport Ca.